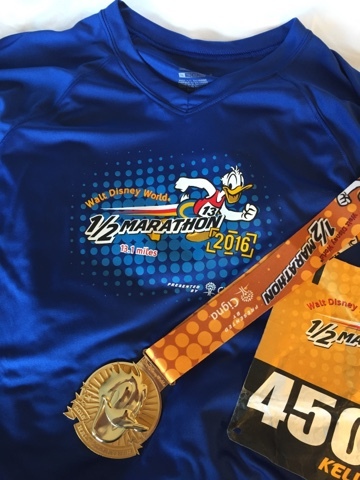 I achieved a major goal this past weekend- I completed my first half marathon, during runDisney's Walt Disney World Marathon weekend. I feel really great about this. I was never a runner, never an athlete, and I was well over 40 when I ran my first steps a few years ago. The idea of running a 5K was a big challenge. And then... I did it. And I trained for the next challenge. I did a few 5Ks. Could I do a 10K? I went for it, with the help and encouragement of a handful of people. Then I did another 10K. Could I do a Half? No, that'd be crazy. I couldn't do a Half. Could I? 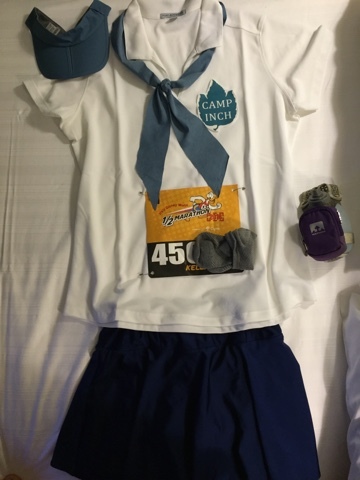 In the spirit of runDisney, costumes make things festive. I was running with my sister, so I wanted to come up with a costume idea that 1) would work for us both, 2) was a little off the beaten path, and most importantly, 3) would be comfortable and efficient for running. I turned to our favorite childhood Disney movie for inspiration: The Parent Trap. Dressing as long-lost sisters Susan and Sharon was just the ticket. My sister and I both LOVED this movie as kids, and we still do. Who's better than Hayley Mills? I felt great running in this costume, even though I was pretty certain that nobody would even know what we were going for. But I was wrong! There were Hayley Mills fans out there on the course! Just a few, but that was more than I thought I'd find. I think I made one woman's day when I ran past her. She completely lit up when she saw me running towards her, and she jumped up and shouted really excitedly, "YES!! Go, Parent Trap!" 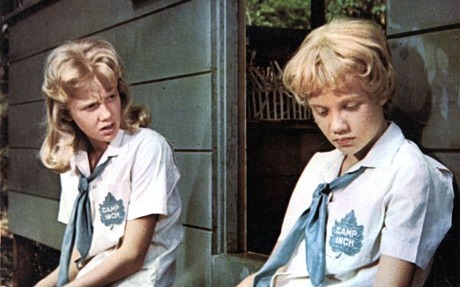 Channeling Hayley Mills helped get me through my very first Half Marathon. It was really hard, and there were several points that had me questioning my sanity and wondering what I thought I was trying to do. There was some significant pain, there were blisters and foot problems, there was a chafing spot on my back from my sports bra that may very well have left a permanent scar. But there was also a whole lot of fun, a camaraderie like no other, and a sense of accomplishment that I can't even try to put into words.